Gameloft is a mobile gaming company that’s known for a wide range of games spanning different genres. Apart from releasing titles based on the Minions from Despicable Me, the Uno card game, and the PC gaming classic Oregon Trail, the company also has several successful IPs so far for mobile gamers, including the Gangstar series and the Asphalt series. 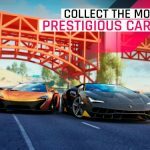 If you caught one of our recent strategy guides, you should know that we’re talking about Asphalt now, specifically the latest game in the series, Asphalt 9: Legends. 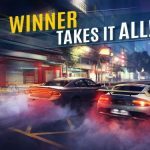 Once again, Gameloft has come up with a title that should appeal to anyone who craves the most realism possible in a racing game – the graphics are great, the cars (all real-life vehicles, we should add) designed to behave like their real-life counterparts, and the default controls are easy to figure out. You can also take part in multiplayer events or limited-time challenges, and even join or form your own club with your friends who may also play this game! Our Asphalt 9: Legends beginner’s guide is obviously not enough to discuss this game in depth and satisfy your appetite for tips on how to win most races (if not all) and unlock more cars. Our Asphalt Legends 9 strategy guide, this time around, is written for intermediate to expert players, though we admit we did miss a few that we should have included in the beginner’s guide. Still, these are tips anyone can use, regardless of experience, so buckle up for this second list of tips and tricks! By default, Asphalt 9: Legends will have you on TouchDrive, which means that the only things you need to pay attention to are drifting and nitro. Steering, acceleration, and braking are all done by the computer; you don’t need to do anything as the game’s AI will find the best spot for you on the track and help you avoid other drivers and obstacles in as much as possible, and you can take it from there. As such, this is a great feature for beginners, and you can get good results from TouchDrive even if you keep using it as an advanced player. But it doesn’t come without disadvantages – mainly, you cannot control your car to target a ramp, or, if flying off ramps is not your thing, avoiding said ramp. You can’t steer your car toward the nitro bottles either. You can turn TouchDrive off, and if you do, that will require you to steer your car manually by tilting your device left and right. This obviously allows for finer control, and gives you a chance to do more aerial tricks, access tunnels to avoid traffic, and collect more nitro bottles. But while this does give you greater control, with tilt steering actually preferred by some players, it can also be tricky if you’re used to controlling your car (regardless of game) with onscreen buttons. Garage Level is something we did not talk about in the beginner’s guide, but this is another reason for you to keep on racing, and to make sure, to the best of your capability, that you win those races. Compared to your player level, it takes a while for garages to level up, and that’s probably just as well, as it adds to the challenge of Asphalt 9. So what do you get when you level up your garage? As you may have inferred, a higher Garage Level allows you to unlock more cars, but not unlock in the sense that you will immediately be able to drive them in full form. Instead, these “new” cars’ blueprints will become available in the card packs once your garage levels up. So if you’re bored with the same old blueprints from the card packs, you can take solace in the fact that you’ll be able to completely unlock a specific car faster. 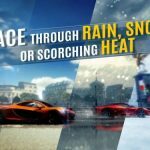 Of course, it will become harder to home in on specific cars once there are more possibilities that could show up in the card packs, but the good thing, clearly, is that you’ll have more for the AI to choose from at random after leveling up your garage. Just in case you’re wondering if changing your paint job will add to your car’s stats as it sometimes does in racing games, we will say it right now – that is not an option in Asphalt 9, being that this game strives for realism. Typically, you can choose from a wide range of different colors for any given car, and if you decide to change paint job, you won’t need to pay a single unit of your in-game currency, and you won’t have to wait either for the colors to change. This can come in handy if you’re getting bored with the appearance of one of your cars; changing things up aesthetically just might help you post better times and win more flags, though any help you may get in this area is merely psychological, and not stats-based. Clubs, as we explained in the beginner’s guide, are Asphalt Legends 9’s equivalent of guilds in RPGs. This is the game’s main social feature, and by joining a club or forming your own, you can win exclusive rewards for milestones, race up the club leaderboard, and maybe meet a new friend or two as you discuss tips, tricks, and strategies on the Club Chat. When joining a club, it’s best that you choose those with a lot of members and are active, with a high Reputation score. You may also prioritize those with country flag icons under Country, though we see world map icons with almost all of the clubs we’ve seen so far – it’s always more fun to play mobile games alongside your fellow countrymen, so if you see a club that’s exclusive to people from the same country as you, that could help you maximize the game’s social aspects! Presumably, you’ll be going from strength to strength as you unlock new cars belonging to other classes, and maybe even of higher tiers in terms of rarity. But you shouldn’t exactly set aside the older cars you’ve already unlocked, or focus only on a select few cars for the sake of keeping things simple, and sticking to what works. Instead, you should keep unlocking new cars and upgrading them as necessary, as certain seasons will require specific car types to be used. Sure, there will be seasons that are open class, where you can use your best available vehicle at any time, but you’ll find out soon enough that the older car you had seemingly set aside can be useful in specific seasons in campaign mode, where the recommended rating may turn out to be higher than you think. If you get more blueprints of a car that you’ve already unlocked, then don’t despair – that is actually a good thing, as completing a set of blueprints after you’ve already done so previously allows you to star up your vehicle, or increase its rarity. This gives your car’s potential stats a further boost beyond where you’re already at, and this could be very helpful if you’re racing in seasons that require a specific type of car; for example, one of the early seasons restricts you to driving cars of Asian makes, which would make your starter Mitsubishi Lancer Evo still useful even if it’s the very first car you unlock. So keep opening those packs and winning those races, and don’t restrict your car to whatever star level you are currently in. Your cars can get rarer, and this can be accomplished by starring up. If joining a club is not your thing, and we can completely understand it if it isn’t, then you can always enjoy the social features of this game in another way – multiplayer races. Yes, at some point, you may find it less challenging to take on AI opponents in campaign mode, but that’s why you can race against other human opponents in multiplayer, and compete in your first race in order to be ranked in a league. Depending on the league you fall under, you can win a number of goodies once the event is completed. For example, the Bronze League prizes as of this writing include an Import Parts Pack, three BMW M4 GTS blueprints, and 15,000 coins/credits, the Silver League prizes include an Import Parts Pack, five M4 GTS blueprints, an import part for that same car, and 30,000 coins, and the Gold League prizes include the same prizes above, only with 10 M4 GTS blueprints, and two import parts for that car. Of course, this could all change from one multiplayer league season to the next, so if you’ve got a car unlocked that’s particularly being focused on during the event, that should give you more than enough incentive to take part in it. Located below the Multiplayer button is the Events button, and this mode isn’t as cut-and-dry as the other ones are. These are, as is clearly stated, limited-time events, and you will have the choice of three, where you can compete against other human players, but with a different type of prizes involved. You can win event card packs, credits, or tokens in this game mode, but this will all depend if you’re able to beat the required time – you don’t need to place first, or even in the top three, just as long as you’re able to have a better run than what’s required. Based on our experience, though, it could be hard if you still don’t have a good car just yet. Players who take part in the limited-time events are usually of the more experienced variety, so make sure to get your car upgraded sufficiently, and to choose the right set of wheels! Also remember that each run in the limited-time events will cost you two gas units and two tickets each, the latter of which refills automatically. 9. Looking For A Specific Blueprint? If you’re like most players, you’ll want to unlock as many cars as possible in Asphalt Legends 9. There is, fortunately, an easy way to find out which parts of the game and which races you should be focusing on if you want to earn those blueprints for a given car. Simply tap on the car icon on the upper left of your screen to access your Inventory, then tap on any car that is showing as grayed out. Go to the bottom right corner and tap on Get Blueprint, and you will be poised to a list of ways for you to get those blueprints. For example, for the Volkswagen XL Sport Concept, you can compete in events, race in the Euro Tracks in career/campaign mode, or compete in the XL Sport Concept career season. If you’re currently able to take part in such a race, you’ll see a neon green button with an arrow on it tap on that button and you’ll be taken directly to the race or game mode in question. This can be easy to miss, even for more experience Asphalt 9 players, but you will see a Credits icon somewhere in the season corresponding to the race you’ve just completed. 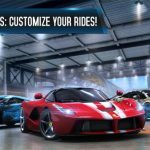 Click on the icon and you will be able to collect your offline earnings, which should come in handy, especially if you’re in the latter stages of upgrading one of your cars or more.